We will conduct a review of a plans structure, investments and fees to ensure it meets an appropriate fiduciary standard now required by corporate plans. We will work with the plan sponsor to choose the appropriate plan (i.e. 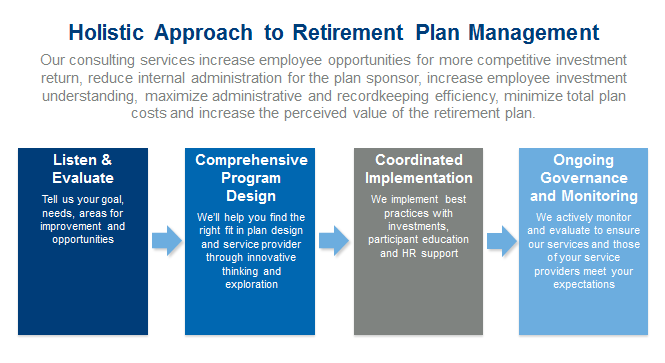 401(k), 403(b), 457, SEP, SIMPLE) and help structure the plan’s design to optimize employee deferral and satisfaction. As a 3(21) Fiduciary, we will conduct employee education, initiate quarterly plan reviews for management and keep abreast of the regulatory changes in the industry.